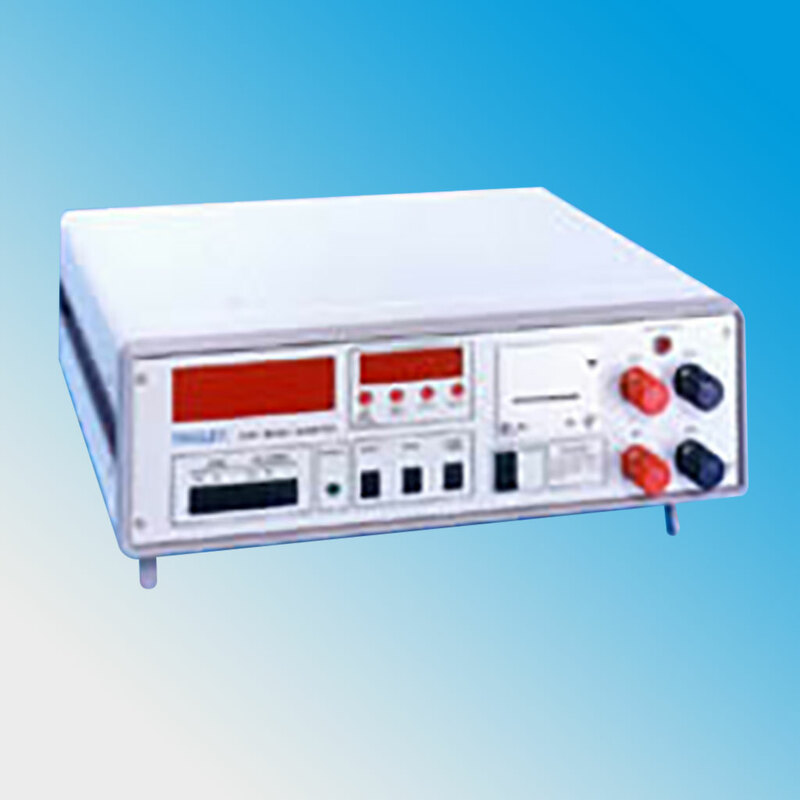 It is equally suitable for the measurement of any resistance where a large amount of inductance is also present. An integral timer and printer are also incorporated to enable precise readings to be recorded at exact and programmed time intervals. Whilst being practical in use the instrument also has safety features to protect both the operator and the instrument from the hazards associated with this type of measurement. This instrument is suitable for the resistance measurement requirement of BS171 Part 2 or Part 1 IEC 76-5. IEEE-488 Interface included as standard. Stable accurate measurements can be achieved in a fraction of the time required than when using more traditional bridge methods. For an average size distribution transformer the resistance reading is available within 10 seconds. A high test current and unique circuitry is used to rapidly drive the core into saturation and to eliminate any oscillation of the magnetic field, thus enabling a steady reading to be obtained quickly. A large high intensity LED is illuminated when the instrument is in the "Read" mode and remains ON when the instrument is switched to "Zero" until any E.M.F. 's, generated in the transformer as the magnetic field collapses, have fallen to a safe level for the leads to be removed.